Finding a cute, unique bodysuit is such a thrill! 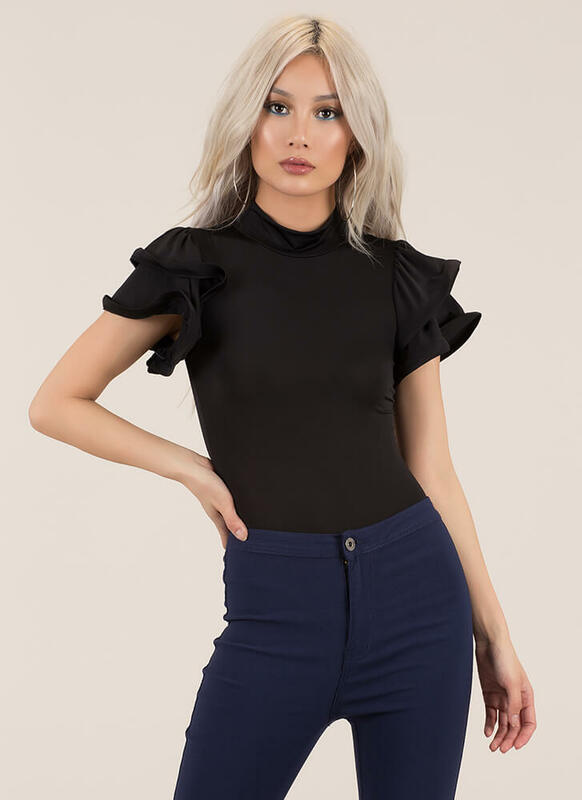 Stretchy bodysuit features a high neckline and structured double ruffles over the shoulders for a short-sleeved look. Bodysuit is finished with double snap button closure at the crotch for easy on and off.